Rich Barnes | Will You Miss Me When I'm Gone? 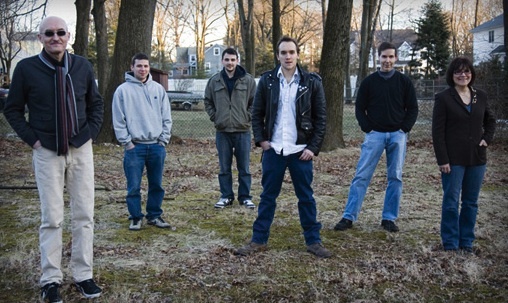 Speed the Plough: John Baumgartner, Dan Francia, Ian Francia, Michael Baumgartner, Marc Francia and Toni Baumgartner. There are some big doings at Speed the Plough HQ. The latest incarnation of the band, a part of network of bands linked to The Feelies, has announced a deal for their new CD. 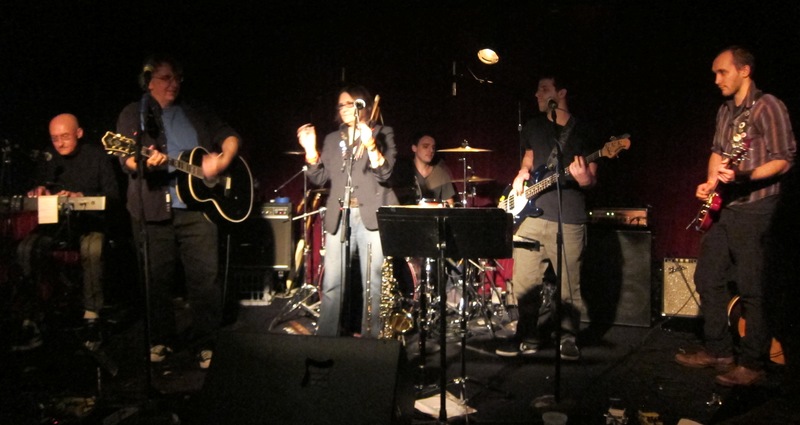 They’ve signed with Great Meadows, N.J, -based Dromedary Records, which will issue the band’s new disc, Shine, in August. The lineup for the new album will feature the great guitar and vocal work of new Plough-man Ed Seifert (of Ed Seifert and the Stimulus Package, though you may also recognize Ed as The Feelies’ tech) and guest appearances by two former STPers and current members of Wild Carnation, Brenda Sauter (who’s also in The Feelies) and Rich Barnes. What’s more, a compilation of tunes from The Trypes, another part of The Feelies’ family, is also nearing completion. It would be easy to get used to making a tradition out of celebrating the Fourth of July with The Feelies. Bill Million and bassist Brenda Sauter. on June 30-July 2, 2008 (and those shows thrilled me) , they announced their return in a big way two days later, opening for Sonic Youth in NYC’s Battery Park on the Fourth of July. The sun, sweat, humidity and the huge crowd just made the experience more intense. The band did not disappoint. Percussionist Dave Weckerman seems content to stay in the background. As you’ve probably read here earlier, The Feelies took over Maxwell’s for three nights this month, from July 2-4. On that last night, thousands crammed the streets and waterfront of Hoboken to see the Macy’s fireworks, while dozens of true believers ignored the holiday hoopla and chose to watch the guitar pyrotechnics of Glenn Mercer and Bill Million instead. I didn’t mind missing the fireworks outside, not at all. The Feelies are a band that doesn’t offer too many surprises. Their shows are like your favorite jeans, well-worn, broken in and perfectly comfortable. They feel good — and just right. They don’t throw many curve balls — even the multiple covers they did as encores over the three nights had little variation from night to night. But none of that matters to a true Feelies fan. In fact, curve balls might ruin the equilibrium. At the July 4 show, I was positioned very close to the stage. That made for clearer shots of individual band members or pairings of players, but didn’t give me a chance to shoot an overview. So this will give you a very different perspective than the previous night’s shots. Rich Barnes of Wild Carnation (and Brenda's husband) helped out on keyboard. My position made it tough to spot local heroes in the audience. But at the end of the night, I spotted Georgia Hubley and Ira Kaplan of Yo La Tengo returning to the music room as the majority of the crowd was filing out. You can always count on them being at a Feelies show. The only other face I wish had been in the crowd was filmmaker Jonathan Demme, who featured The Feelies as “The Willies” in his 1986 movie Something Wild. I guess that was his payback for making Stop Making Sense two years earlier about the Talking Heads instead of The Feelies!